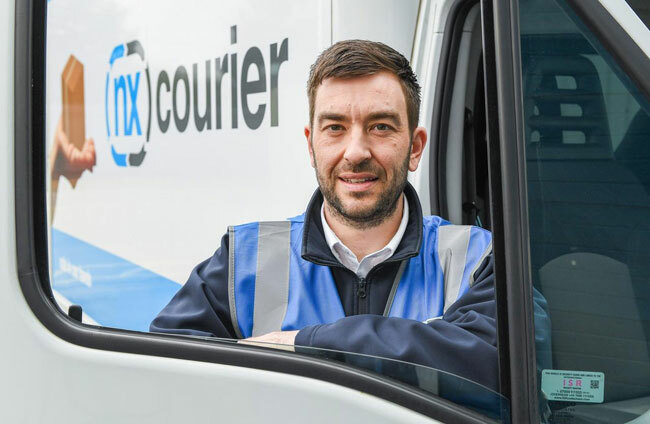 As temperatures begin to drop and driving conditions look set to worsen, drivers are being advised to bear in mind the following tips on winter driving, compiled by Northamptonshire based courier, logistics and warehousing company The NX Group. Russell Thompson, Operations Controller for The NX Group. Lots of garages offer a winter ‘health-check’ for cars and vans, which is something worth investing in before the snow and ice arrive. Typically, this involves checking your tyres, oil and brakes. If you’re getting your MOT at this time of year, why not ask for a winter check at the same time? Suitable footwear, and spare, warm clothes. Poor weather conditions will affect both visibility and braking distances. Make sure your lights are on, and take care to drive extra sensibly, and slower than perhaps you would normally when out in snow, ice, sleet and fog. Be especially aware of other drivers around you. Your road journey may end up taking a lot longer than you anticipated, so try to keep your fuel tank topped-up and don’t risk driving for long distances if you’re down to your last dregs! And on the topic of keeping things topped-up, make sure your mobile phone is charged too, in case you need to make any emergency calls. Is your journey essential, or can it wait? It may be worth putting off your trip until another day, especially if weather conditions are particularly bad. If you are out on the roads, be sure never to overtake unless it is absolutely safe to do so – there could be uncleared snow or ice you can’t see, and with braking distances reduced your haste could be fatal. There are lots of other top tips for winter driving available online, including through car breakdown services, who offer advice as well as services. The NX Group is a comprehensive suite of supply chain solutions for businesses that require an extra level of quality and care for their products. Based in the golden triangle of logistics in Northamptonshire, its distribution, warehousing and courier divisions have grown year on year, thanks to its emphasis on quality, security and personal approach.